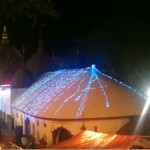 Maa Kamakhya Temple located at Guwahati, Assam is a Hindu temple dedicated to the mother goddess Kamakhya. 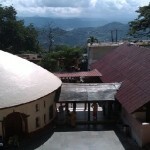 It is considered most sacred and oldest of the 51 Shakti Peethas on earth. 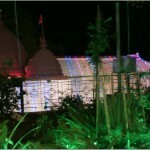 Kamakhya Temple is located on Nilachal Hills in western part of Guwahati on adjoining banks of Brahmaputra river. 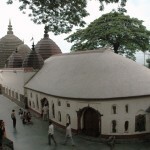 There is a complex consisting of several temples around Maa Kamakhya Temple. 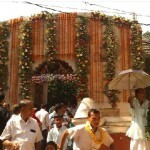 Apart from this, there are also the temples of 10 Mahavidyas in and around temple. These include Bhuvaneshvari, Bagalamukhi, Chinnamasta,Tripura Sundari, Tara, Kali, Bhairavi, Dhumavati, Matangi and Kamala Temples. Among these, Tripurasundari, Matangi and Kamala reside inside the main temple whereas the other seven are individual temples located on Nilachal Hills. 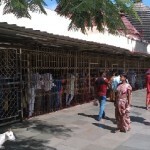 Kamakhya Temple is an important pilgrimage destination for all sects of Hindus and especially for Tantric worshipers.